He walked into the midst of my personal cataclysms — really peevish about all the incompetence and ugly morals holding the day — and declared to me he was going to fix it all. He strode around my little hovel in all his gangling great height and made a list of things that would not do. I had absolute confidence he was going to put it all right and my personal emergencies would be behind me. That's the short version. 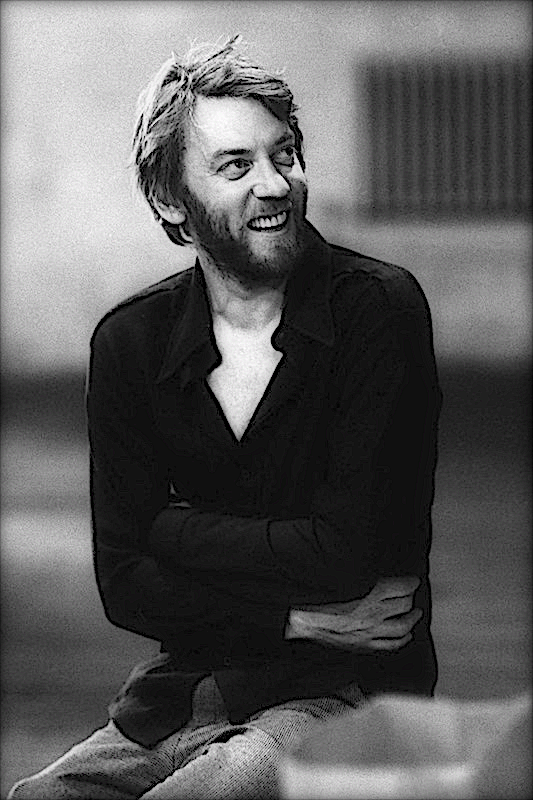 I won't bother you with all the moving around between relative and absolute and the bits of very seriously competent-sounding ineffectuality leading up to a young and tall and totally nutty perfectly competent Donald Sutherland striding around like a modern day combination of Merlin and Sherlock Holmes. Just. Not one doubt he was fixing everything.